Home Car News Startups Weekly: Will Trump ruin the unicorn IPOs of our dreams? The government shutdown entered its 21st day on Friday, upping concerns of potentially long-lasting impacts on the U.S. stock market. Private market investors around the country applauded when Uber finally filed documents with the SEC to go public. Others were giddy to hear Lyft, Pinterest, Postmates and Slack (via a direct listing, according to the latest reports) were likely to IPO in 2019, too. Unfortunately, floats that seemed imminent may not actually surface until the second half of 2019 — that is unless President Donald Trump and other political leaders are able to reach an agreement on the federal budget ASAP. This week, we explored the government’s shutdown’s connection to tech IPOs, recounted the demise of a well-funded AR project and introduced readers to an AI-enabled self-checkout shopping cart. The company, an early entrant to the billion-dollar food delivery wars, raised what will likely be its last round of private capital. The $100 million cash infusion was led by BlackRock and valued Postmates at $1.85 billion, up from the $1.2 billion valuation it garnered with its unicorn round in 2018. To be fair, I don’t think many of us really believed the ride-hailing giant could debut with a $120 billion initial market cap. And can speculate on Uber’s valuation for days (the latest reports estimate a $90 billion IPO), but ultimately Wall Street will determine just how high Uber will fly. For now, all we can do is sit and wait for the company to relinquish its S-1 to the masses. N26, a German fintech startup, raised $300 million in a round led by Insight Venture Partners at a $2.7 billion valuation. TechCrunch’s Romain Dillet spoke with co-founder and CEO Valentin Stalf about the company’s global investors, financials and what the future holds for N26. Bird is in the process of raising an additional $300 million on a flat pre-money valuation of $2 billion. 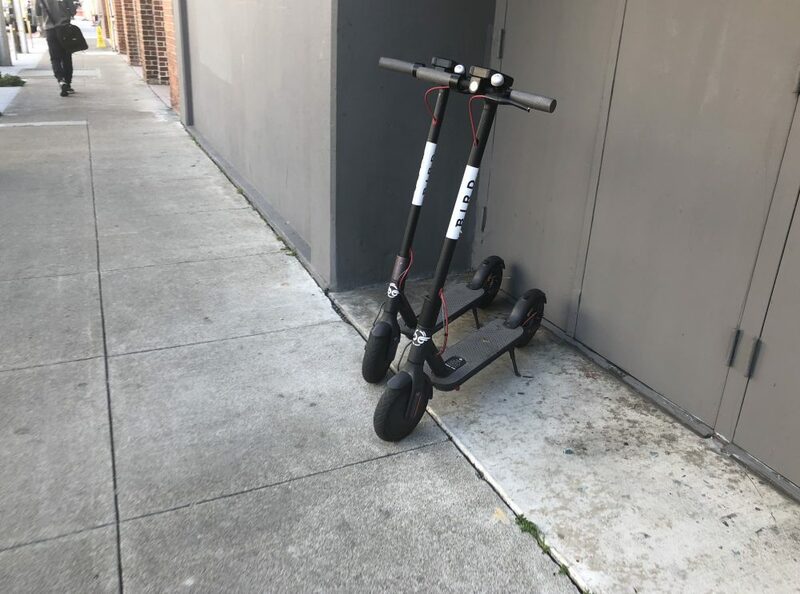 The e-scooter startup has already raised a ton of capital in a very short time and a fresh financing would come at a time when many investors are losing faith in scooter startups’ claims to be the solution to the problem of last-mile transportation, as companies in the space display poor unit economics, faulty batteries and a general air of undependability. Plus, Aurora, the developer of a full-stack self-driving software system for automobile manufacturers, is raising at least $500 million in equity funding at more than a $2 billion valuation in a round expected to be led by new investor Sequoia Capital. Here’s your weekly reminder to send me tips, suggestions and more to kate.clark@techcrunch.com or @KateClarkTweets. WeWork, a co-working giant backed with billions, had planned on securing a $16 billion investment from existing backer SoftBank . Well, that’s not exactly what happened. And, oh yeah, they rebranded. After 20 long years, augmented reality glasses pioneer ODG has been left with just a skeleton crew after acquisition deals from Facebook and Magic Leap fell through. Here’s a story of a startup with $58 million in venture capital backing that failed to deliver on its promises. Seed activity for U.S. startups has declined for the fourth straight year, as median deal sizes increased at every stage of venture capital. This week edtech startup Emeritus, a U.S.-Indian company that partners with universities to offer digital courses, landed a $40 million Series C round led by Sequoia India. Badi, which uses an algorithm to help millennials find roommates, brought in a $30 million Series B led by Goodwater Capital. And Mr Jeff, an on-demand laundry service startup, bagged a $12 million Series A. The startup, which makes a shopping cart with a built-in barcode scanner and credit card swiper, has revealed a total of $3 million, including a $2.15 million seed round led by First Round Capital .